Dillon Saks speaks during Wednesday’s ASG Senate. The Weinberg freshman was later confirmed as ASG treasurer. Associated Student Government Senate unanimously confirmed Weinberg freshman Dillon Saks as treasurer on Wednesday. 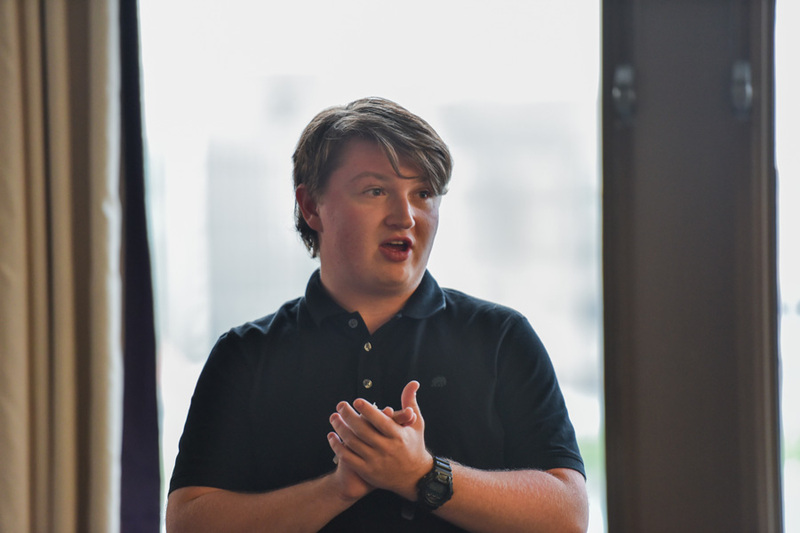 Saks, previously a residential senator, will take over the position from SESP freshman Austin Gardner, who was confirmed as vice president for accessibility and inclusion in April. Chief of staff Lars Benson told The Daily the treasurer is not on the executive board, so Saks was not sworn in and has no official limit on his term. The Weinberg junior added he interviewed multiple candidates for the position but thought Saks was the most qualified. The treasurer works with ASG’s executive board, particularly Benson, ASG president Nehaarika Mulukutla and executive vice president Rosalie Gambrah. The treasurer also works with the Student Organization Finance Office. “Treasurer is a very important position, definitely very underspoken because it doesn’t have the institutionalization of an exec board,” Benson said. Later in the meeting, vice president for A-status finances Daniel Wu gave a presentation to Senate explaining the A-status funding procedures. The A-status finances committee allocates about $1.5 million to fund A-status organizations, according to the presentation, which comes from the mandatory $62.30 quarterly student activities fee. Senate will vote on the funding next week.